Nautical by Nature: GIVEAWAY! 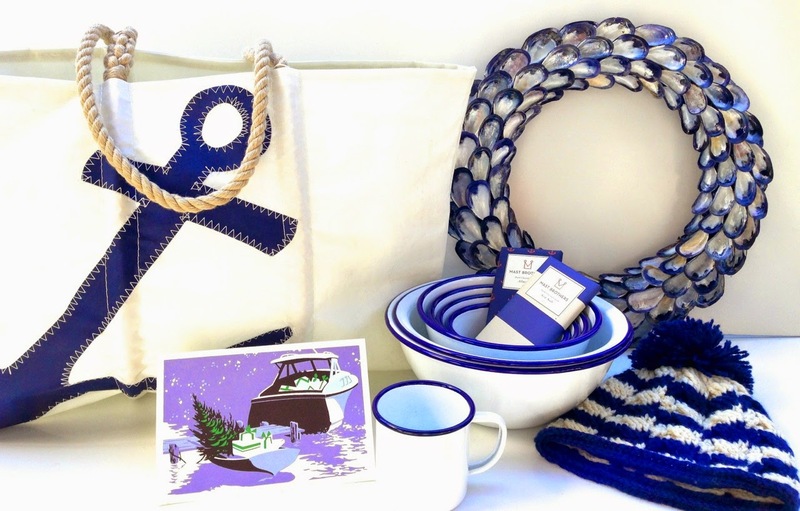 Nautical Holiday Inspiration from Daytrip Society in Kennebunkport, Maine! GIVEAWAY! 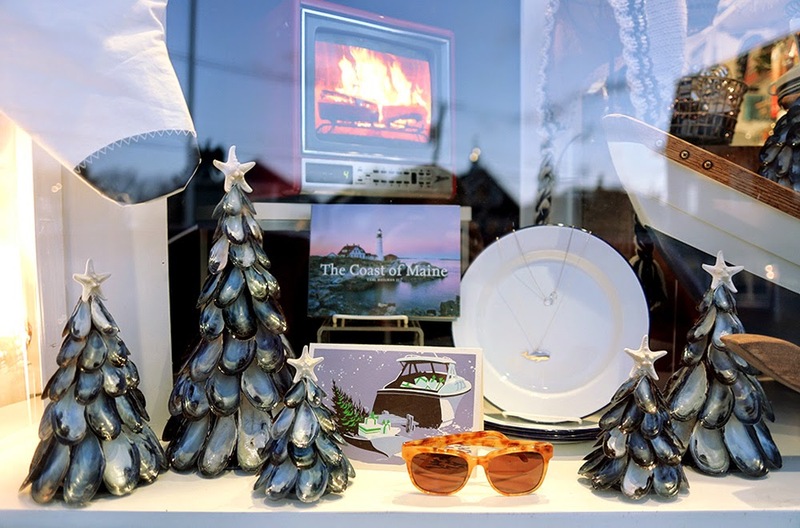 Nautical Holiday Inspiration from Daytrip Society in Kennebunkport, Maine! Nautical style is just a way of life in Kennebunkport. 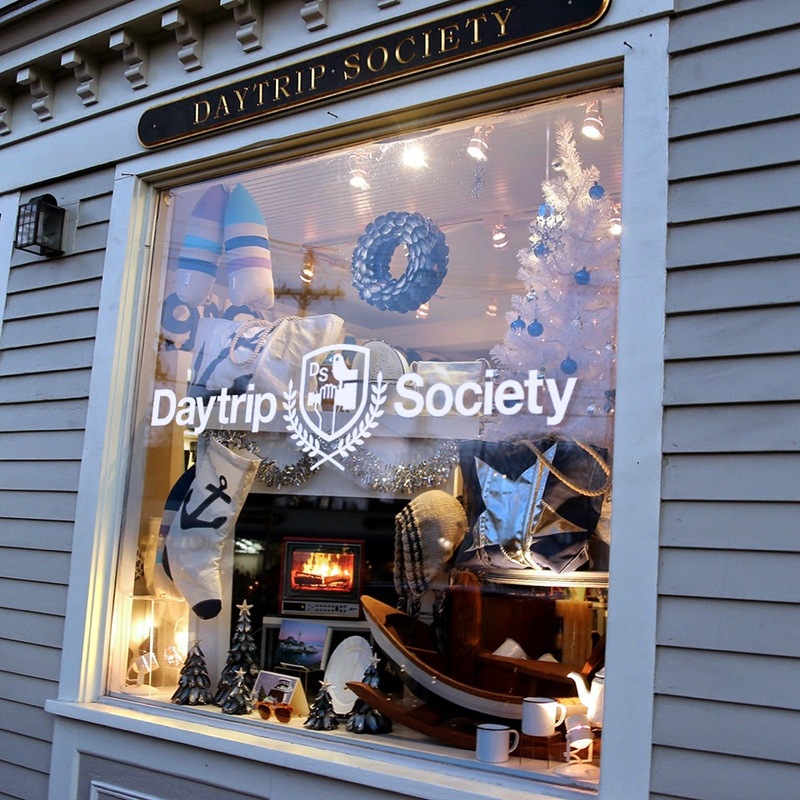 Located in the heart of the scenic Maine town, Daytrip Society and neighboring children’s store, Daytrip Jr., specialize in well-designed goods for the adventurous type. This holiday season Daytrip Society is feeling inspired by the iconic look of Maine in winter– the snowcapped rocky coast, the shiny mother-of-pearl interior of a mussel shell, the cozy home of a lighthouse keeper. We want to share our nautical holiday with you! We are giving away a navy anchor Sea Bag (valued at $150). Made on the waterfront in Portland, Maine from recycled sailboat sails, this bag is super durable AND cute as a button. All you have to do is follow Daytrip Society on Pinterest and comment here, on this post, to let us know you are following (include your Pinterest username, please). 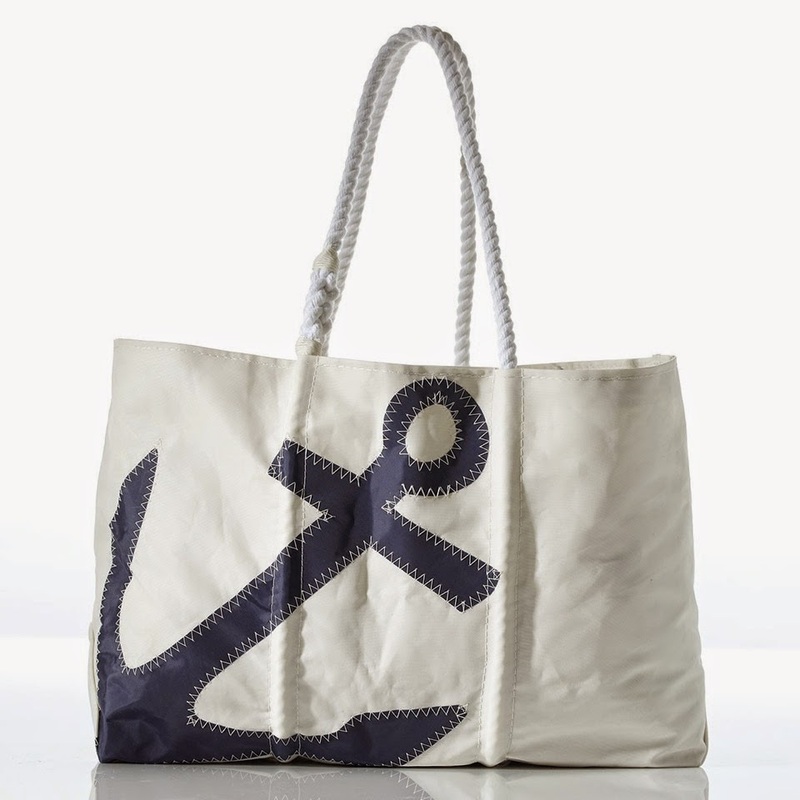 We will choose one new Pinterest follower to receive a Large Sea Bags Anchor Tote to be shipped directly to you! 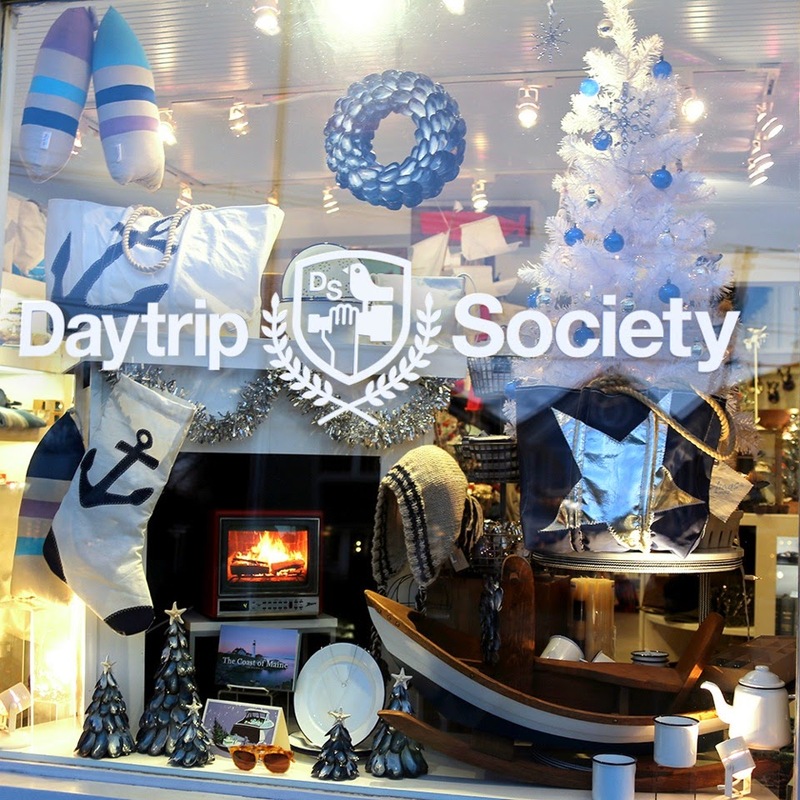 How fun is the Daytrip Society storefront holiday display? Such cute stuff! I'm a follower now- username -Gina (Preppy Mama). I have always wanted to visit Kennebunkport. What a cute store, hopefully I make it there someday. AHHHHHH! I want to win this so badly! I've wanted one of those Sea Bags FOREVER. I will Instagram the heck out of that bag...haha. Just entered! Following at lbrousell. How come I have never heard if this store before?! Thanks for posting! Tons of great stuff to buy and lots of interesting ideas on Pinterest. Of course their Living Coastal board is my favorite! ⚓️⛵️�� Definitely see myself making a purchase in the near future! I LOVE THIS BAG! Love the site and love this bag!!! My user name is just my name. Erin Rizzo. Thanks for the great opportunity. Love to see future pins. Love the store and site! My user name is mcgillisle5! I'm following on Pinterest as Carol Adams. Very cute store!!! So many cute things! I'm a new follower - att818. Thanks for the giveaway! I am Following :) RoraBorieAlice :) LOVE Sea Bags!!!! Laurakaimevous is my name on pinterest! Thanks for the giveaway! I'm following. Christopher Michon or cmichon. Ahh so cute! I'm following now - username is laura__eliza (two underscores between the Laura and eliza). Fingers crossed for this amazing bag! Thanks for tuning me into Daytrip Society, they have the cutest things! I'm following them on pinterest now, alromano17! LOVE LOVE LOVE Nautical! Been following you, love your items. I love all things coastal, and need a mussel wreath. I'll be ordering a hat w/ a seafoam striped hat soon. Thanks for the opportunity to win a fabulous Sea Bag tote. New follower on Pinterest; my Pinterest name is cspod. I'll be pinning a lot of things from your board. Wow! What a cute store! I need to get back to Maine and visit! I just followed your pinterest page...BlueCherryLinzy. Thanks for the chance to win! Love Daytrip & Daytrip Jr! I visit both stores every summer when I'm in GRB! This bag is fantastical! I absolutely adore Sea Bags as well as anything with an anchor! Following on Pinterest, @katie_struchkov. Following! brookestouchett LOVE Daytrip Society and Seabags! I've been visiting the store in person and on Pinterest (@romanowl) for a few years now. My recent fav purchase are the red and white striped hand dipped candles by Ana Designs. Perfect for holiday deco! I hope I win this bag!!!! I am following Daytrip Society on Pinterest! What fun boards! My Pinterest username is intentionworks. Love your window! Now following on Pinterest!